Christopher Joy and Zachary Keeting visit the studio of artist Rachael Gorchov. Gorchov comments: "These are paintings... The objects, for me, are in service to the image... 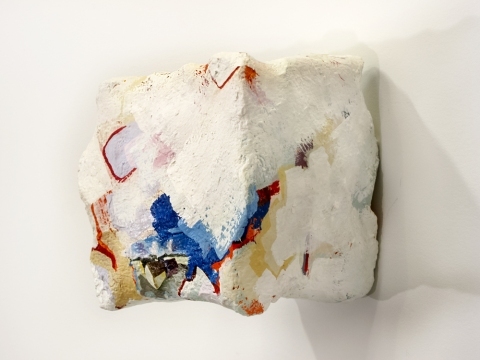 I call them sculptural paintings; they come out of the wall, they enter your physical space. To me, the way they enter the physical space is meant to direct your experience of the image."